Focused on pattern and color, Bedrosians’ Winter Tile Collection 2017 is curated to add artistic flair to any home’s design. Remy, their new decorative cement Encaustic tile, invigorates designs of the past with its soothing color palette and stylish patterns. 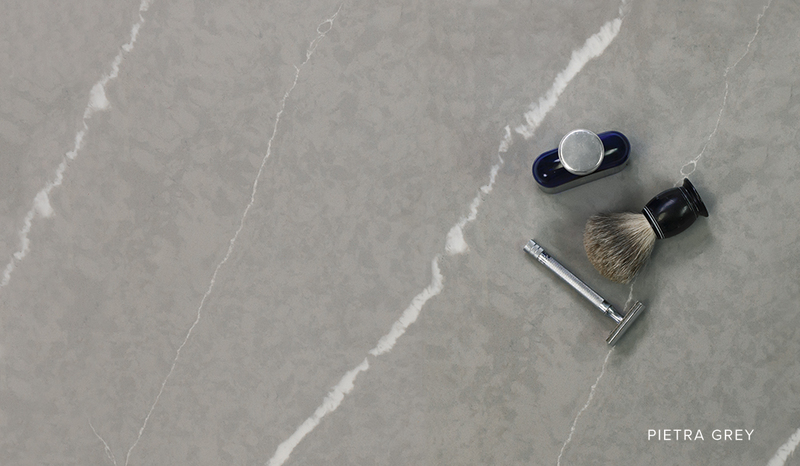 Bedrosians’ new marble tile, brushed Iceberg White, will deliver a sophisticated and upscale feel to projects. To complete the collection, they’ve added six new Sequel Quartz colors, all chosen to reflect and complement today’s emerging design trends. 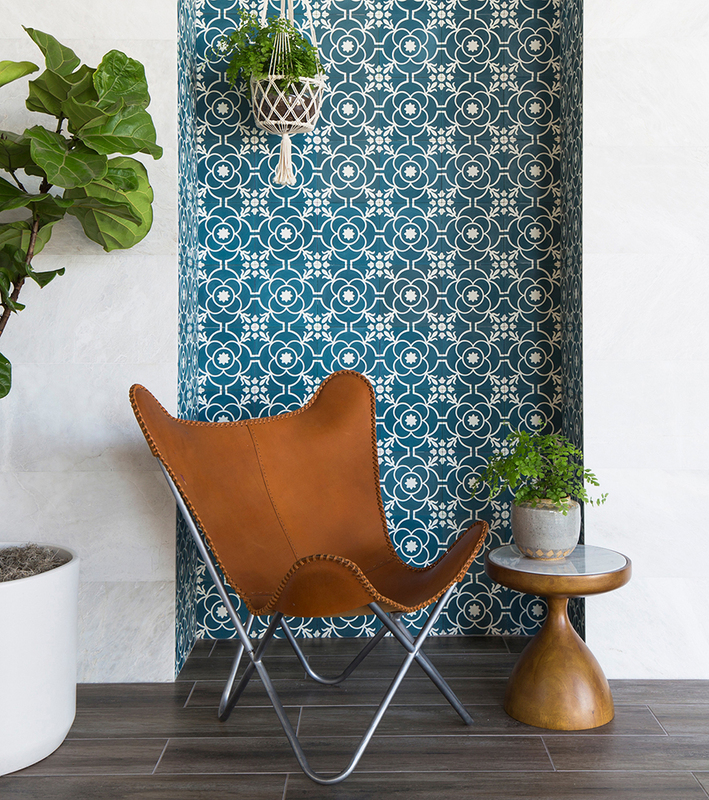 Remy, a cement tile also known as encaustic tile, breathes new life into an old-world design. Use the cool sea blue and warm grey solid colors and mix of patterns in Remy to create exciting floors, backsplashes and walls. The eight distinctive 8”x8” patterned designs can be used for a whole floor or wall, or as an inlaid tile rug or accent section of a wall. The six solid 8”x8” tiles colors can be used on their own or combined with the decos. Iceberg White brushed marble is defined by its off-white background with white and light grey veining, plus crystalline accents. 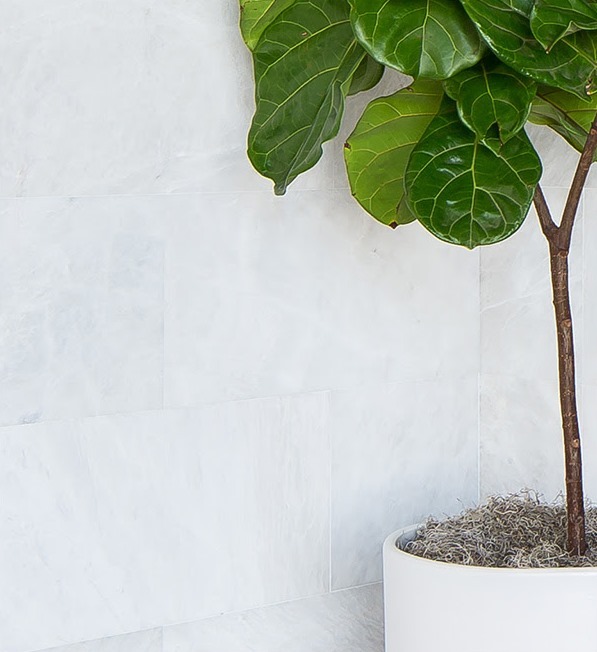 This snowy white marble is available in 12″x24″ and 18″x18″ field tile sizes. Take your designs up a notch with any six of Sequel Quartz’s colors. Macaubas, Pietra Grey, Super White and Taj Majal are dynamic stone looks that satisfy the market’s demand and style preference. Limano and Waterford Cream are timeless, soft toned looks, designed for longevity. With superb diversity in aesthetic options, Sequel Quartz® is highly durable, low maintenance, and versatile. Signifying the essence of natural beauty and elegance, Sequel Quartz® offers creative freedom to revolutionize spaces with grace and sophistication.